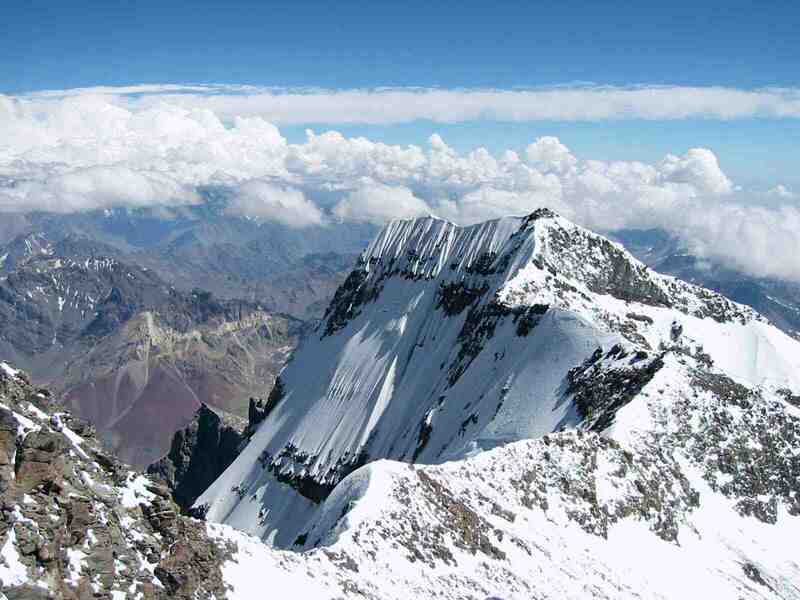 In the morning I will leave base camp for the three to four day climb to the summit. Yesterday I did a porter run to drop off half of the things I need to summit at the high camp at 5,400m. This included my plastic mountaineering boots, extra gas, food, ice axe and my summit suit. It took me six hours of constant slow climbing to reach the camp and to remind me that I was not on holiday the whole time I had a dull headache and shortness of breath. Once I arrived at camp Nedo I fought off a vomit for around an hour so my body had some time to adapt to the higher altitude before I descended back down. Unfortunately due to the limited internet access available I cannot show properly show you the literally breathtaking views I witnessed over the Andes. I was able to see the coastline from where a started 13 days earlier which truly was a humbling experience. I could actually see the start and the finish line from the point I was standing, this moment was worth every breath it took me to get there. To give you an idea of the effect altitude has on performance it took six hours to get up and only one and a half hours to get down. Today I taught the other members of the United Nations climbing team the card game Scum and it has been a great day relaxing and having fun before we all face the beast that is the summit of Aconcagua. I would like to take a moment to express my gratitude to all of the people who have made it possible for me to be in the position where I get another chance to stand on the roof of South America. I promise I will do you all proud and give everything my mind and body possibly can to make it to the top in the name of raising awareness for men’s mental health.